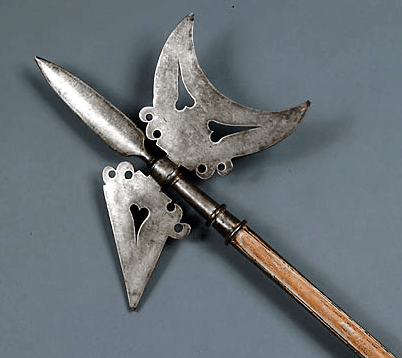 This British Halberd was standard British issue. It is made of wrought iron, wood, and has traces of the original red and white paint that was on the wooden shaft. 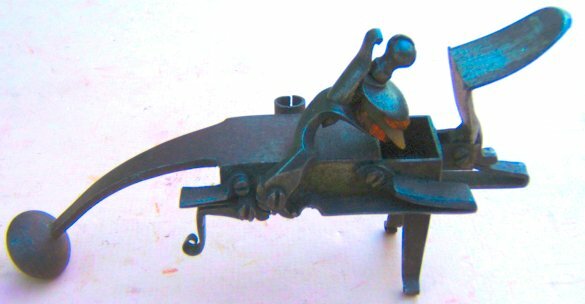 Overall it measures around 7′, and the iron head alone around 10.25″. The halberd was used to deter horsemans’ advance, pull horseman to the ground, and using its reach help thwart use of weapons of advancing troops and for other fighting purposes. For source and more details, click here.